Residents gather to discuss Lowell's current voting system and the voting rights lawsuit filed against the city. Residents Engaged to Act for Lowell is a Lowell Alliance program that promotes a more equitable, representative city government through civic education and engagement. Lowell is rapidly approaching a majority minority city, with 49 percent of its population foreign-born or an ethnic/racial minority. At present, a distinct political and economic divide exists between established longer-term residents and relative newcomers. Public Forum on April , 2018 in Centralville highlighted issues and provided opportunities for questions and discussion. Video courtesy of LTC. Ropes and Gray LLP and the Lawyers' Committee for Civil Rights filed a lawsuit in May 2017 that challenges the city of Lowell's current election system. The suit charges that the at-large plurality system dilutes the power of minority residents, which violates the Federal Voting Act and is unconstitutional. The suit will likely resolve in 1-2 years from the time of filing. Lowell is the only city of its size in Massachusetts that still relies on an at-large voting system, so a favorable judgement means that district seats are likely to be created on City Council, and residents from those districts would need support if they plan to run for and hold office in 2018. Sam Meas, former candidate for US Congress (5th District) and Matthew Mazzotta, Ropes and Gray attorney, discuss the lawsuit on LTC TV. REAL Change programs will support these potential candidates and campaign managers, as well as provide civics education and engagement opportunities for residents (e.g., serving on a citywide board). 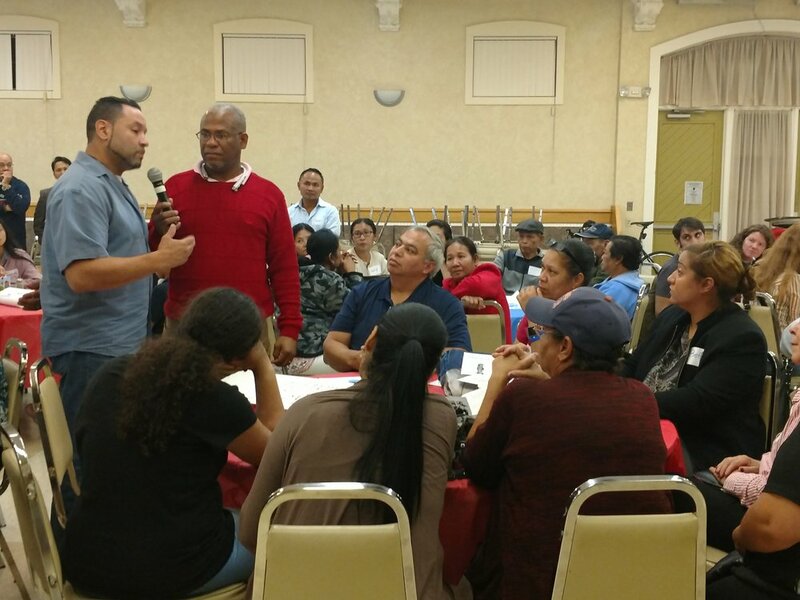 In addition, and in collaboration with community partners, Lowell Alliance will continue to provide public information forums about the lawsuit, its potential outcomes, and how these will impact the community. Stars on the map represent residences for City Council and School Committee members for the past three election cycles. "Red" indicates areas of the city more densely populated by minority residents. In partnership with Lowell Votes, Lowell Alliance is committed to registering voters and getting out the vote for our local, city-wide elections. We do so by participating in door-to-door voter registration, helping develop and distribute voter information guides for city elections, and helping to reduce barriers during elections by sharing information and finding ways to make voting easier for residents. Voter turnout for local elections in Lowell is significantly lower than for national elections. Of our 58,000 registered voters, 33,000 voted in the 2012 presidential election; only 11,50o people voted in the 2013 local elections.